He was dubbed the real Slumdog millionaire after he became the first person to win the Indian version of Who Wants to be a Millionaire? Like the hero of the Oscar-winning film, Sushil Kumar used his wits to win a fortune – but one year on, his life has changed only a little. There are many ways you can spend a cool million dollars, but as he leads me into the corner of a dusty shed, Sushil Kumar shows me the first thing he splashed out on. It was in fact his favourite television programme, which ushered Sushil Kumar into India’s millionaire’s club. Before his appearance on the show, Sushil, a psychology graduate, was earning little more than $100 (£62) a month. By answering 13 questions correctly, he pocketed more than he would have earned in 800 years. The story made headlines around the world, because it was almost identical to the plot of the film Slumdog Millionaire, where a man from a humble background hits the jackpot on the quiz show. In the film you don’t find out how it changed the hero’s life – but you get the sense there is going to be a transformation. 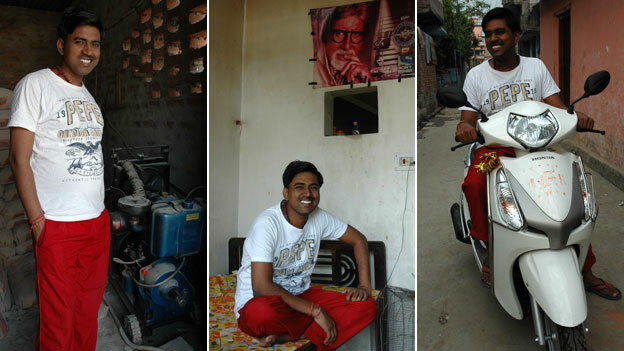 At Sushil’s house in the town of Motihari, a fading, slightly dog-eared picture of the show’s host, Bollywood megastar Amitabh Bachchan is taped to the wall – one of the few visible reminders of events a year ago. The family home is very basic. Each of the four main rooms has a double bed, in the corner of one is a small television. It’s here he lives with his wife, his mother and father, four brothers, two sisters-in-law and one child – 11 in all. Sitting cross-legged on his bed, Sushil shows me another one of his purchases, his first ever computer, a small tablet. Last week he bought a scooter, the only vehicle he owns, even though he has enough money for several high-end sports cars. Even the clothes he wears the day we meet are not new, and were part of his wardrobe before the show. So far, he’s spent $200,000 (£124,000) of his winnings. The biggest slice of this has gone on a plot of land next door, where work is currently under way to build a nine-room house for the entire extended family. “Each bedroom will have an attached bathroom,” he says proudly as he walks me around the site. 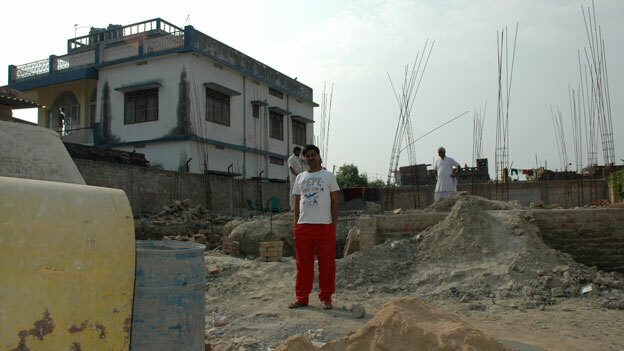 Sushil says the money has changed him in simple and small ways. He’s paid off a brother’s debts, bought some jewellery for his wife and put the rest in the bank. India is a nation known for its savings culture, and it seems Sushil is living up to the stereotype. He’s has taken some financial advice on how to invest the money but has also had plenty of offers from people wanting to spend it for him. But Sushil takes a firm line with begging letters. “In our society if you help one, thousands of people start coming and saying they are needy too,” he says. The money has allowed Sushil to quit his job, though. At the time of his win Sushil said he gleaned much of his general knowledge from the BBC Hindi service. As a voracious consumer of news, he now spends his time watching documentaries and reading newly-bought books. Sushil’s dad explains they now have a cleaner to help with the household chores – as most lower middle class Indians do – and can now also afford to buy better food. “Before we could only buy half a litre of milk, but now we get two or three litres. Earlier we couldn’t buy expensive vegetables, but now we can afford it, all this has changed,” he says. As Sushil’s win was watched by 27 million Indians, he definitely has celebrity status. “Now I go to any part of the country and people recognise me and… want to get pictures taken with me and get my autograph. It’s a very good feeling,” he says. He’s had offers to appear in films and television shows, and turned them all down, apart from India’s version of Strictly Come Dancing, Jhalak Dhikalaja, where he lasted a few weeks. His biggest challenge is yet to come, however – the imminent prospect of fatherhood. 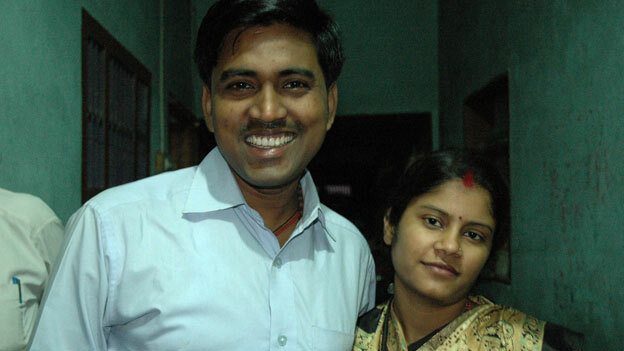 Sushil had married his wife Seema months before the show, and the couple are now expecting their first child. “Now our kids will be brought up very well, their studies will go very well,” says Seema. Does a person change when they become rich overnight? Psychologist Sanjay Chugh says some people who get rich overnight “go on a complete high” which can make them “elated, euphoric and a bit grandiose”. It’s in circumstances like this that people sometimes “become rash and splurge all the money” he says. But Sushil says nothing has changed about him, and he has no plans even to leave his home town for the bright lights of the cities.